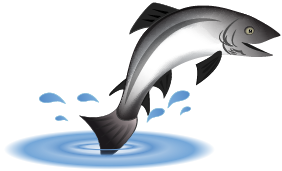 Learn, play and discover about water, fishing, and the life of a salmon fish in Irish Waters. Welcome to the ‘Something Fishy’ website. 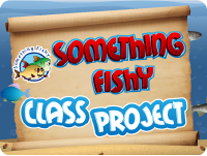 Something Fishy is a programme initiated, developed and run by Inland Fisheries Ireland (IFI) and Blackrock Education Centre. Blackrock Education Centre Inland Fisheries Ireland is the state agency responsible for the protection, management and conservation of Ireland's inland fisheries and sea angling resources. Blackrock Education Centre (BEC) - one of 21 such full-time Centres throughout the country - provides support for teachers and others involved in education in Dún Laoghaire/Rathdown County, part of South County Dublin and North County Wicklow. 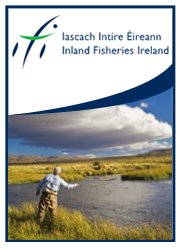 Inland Fisheries Ireland was formed on July 1, 2010 following the amalgamation of the Central Fisheries Board and the seven Regional Fisheries Boards into a single agency. Ireland has over 74,000 kilometres of rivers and streams and 128,000 hectares of lakes all of which fall under the jurisdiction of Inland Fisheries Ireland. Inland Fisheries Ireland provides its service through 8 offices in 7 counties. Click the links below for full contact details and an online contact form for each office. © 2014 Inland Fisheries Ireland. All rights reserved.